I am board certified in family medicine as well as holistic medicine. I see patients of all age groups including pediatrics, woman and adult healthcare. I did medical school at University College of Medical Sciences at Delhi University, India. I did internship and residency at University of Iowa Hospitals and Clinics at Iowa City, Iowa. I have experience of medical practice for more than 10 yrs. Before coming to Sugar Grove, I was practicing in Iowa. I have the honor of being first family physician in Sugar Grove. 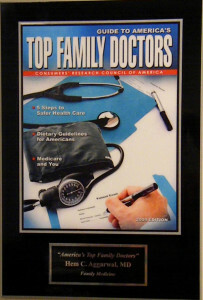 I love being a family physician and take great pride in it. It gives me the ability and opportunity to treat the whole family. I also have great interest in other supplementary therapies. I strongly believe that our body can stay healthy and has more power to fight the diseases, provided we do regular exercise, take proper nutrition and supplement the essential nutrients. I offer my patients these other supplementary methods along with conventional medicine. I have vast experience of clinical research. I had the honor of working with some great minds at Cook County Hosp from 1997 to 2000 and was involved in publishing several clinical research papers. 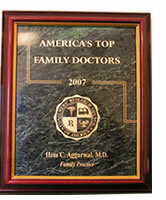 I also have the honor of being chosen among America’s Top Family Physician consistently every year since 2007 by consumer research council of America. I have worked in large hospital settings and physician groups. 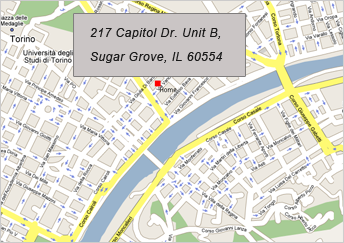 I started Sugar Grove Health Center in 2008. 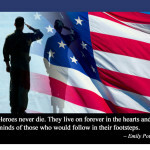 Since than we are serving families not only in sugar grove but from several surrounding towns including Elburn, Kaneville, Big Rock, Hinckley, Plano, Yorkville, Oswego, Aurora, North Aurora, Batavia, Geneva, De Kalb and St Charles. My goal is to provide a warm family oriented practice with personalized care. Lastly, I am married to Priti, my beautiful wife and have two boys and love to spend time with them.